A contemporary cake print with a typographic quotation and a Name Art cake design, incorporating the word 'cake'. The perfect gift for a lover of cake (eating and/or baking it!). 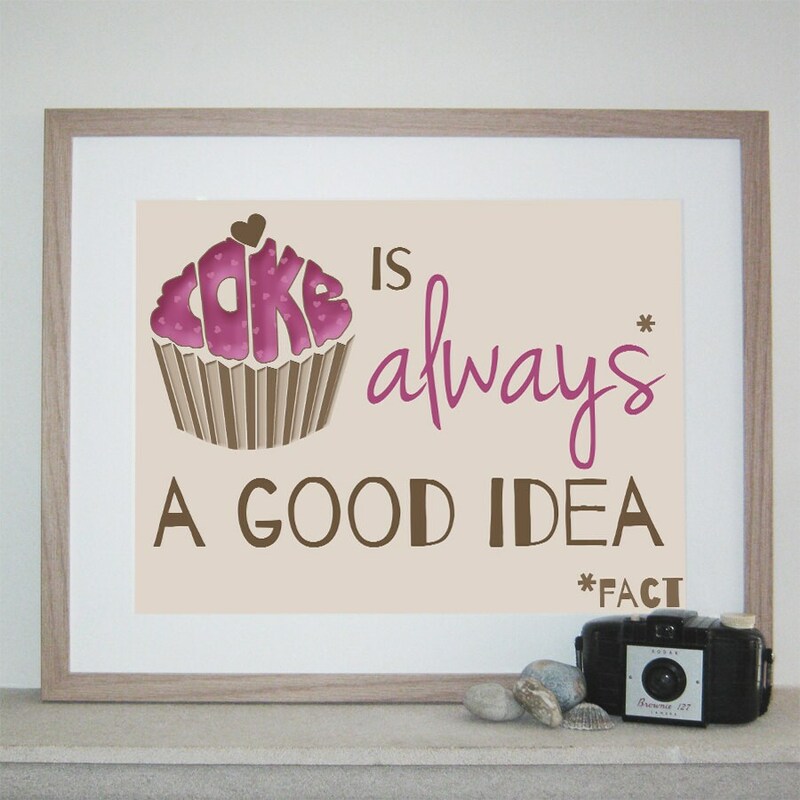 The quotation says 'Cake is always* a good idea *fact''.